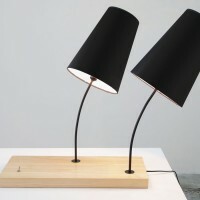 Portuguese designer Gonçalo Campos has sent us the Placa Lamp. 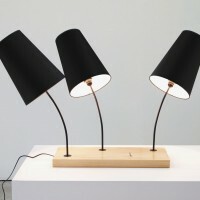 Lamp shades simply placed on a wooden board. The impact that such a simple premise brings is unexpected. 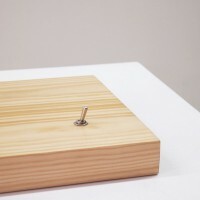 Besides creating a “stage” for placing other objects of interest, (effectively turning into a plinth) it provides room for the relationship between its elements to develop. The lamps point towards the other essential element in this composition, the switch, creating a special dynamic between all of the elements. 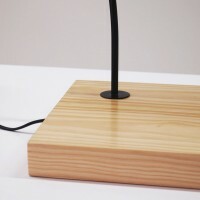 The switch is also placed on the wooden board instead of in the cord, making it a part of the lamp, and not just an appendix. A lamp that despite it’s simplicity boasts character and highlights it’s structure and materials. 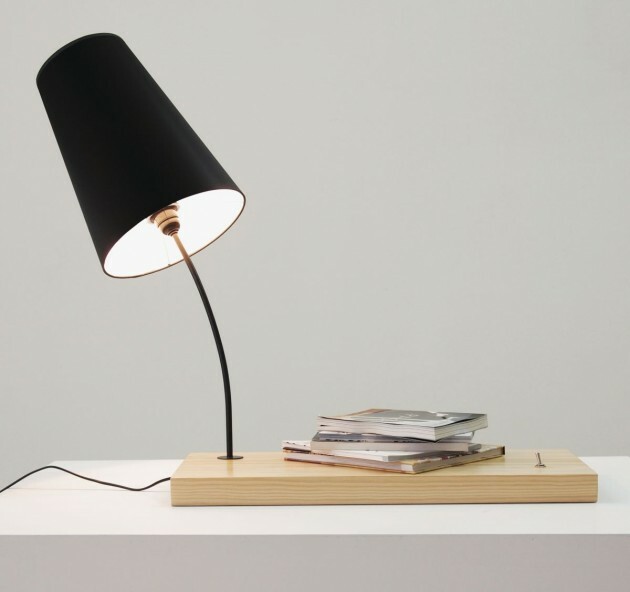 Keeping this lamp to the very minimum, a base, a lampshade and a switch, makes it all the more impressive. 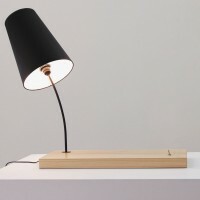 The base of this lamp is made in solid ash wood and the lampshade in black velvet. Visit Gonçalo Campos website – here.